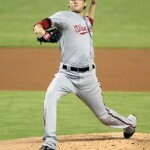 Jordan Zimmermann is quietly putting together a Cy Young season. Photo Unk. Continuing a monthly series of look-backs at our starters (here’s Apr 2013 and May 2013), here’s a monthly glance at how our rotation is doing from a Starting Pitching standpoint. As with previous posts, we’ll have “Grades” per outing, the team’s performance per opposing starter sliced and diced a few ways, and other per-starter stuff that I like to track. Discussion: The team had to cover for injuries to both Stephen Strasburg and Ross Detwiler, and those spot starts were hit-or-miss. Ross Ohlendorf and his 1920’s wind-up covered excellently, and he earned a longer look serving as Zach Duke‘s replacement. Taylor Jordan‘s debut was mediocre, but he fared much better than Dan Haren did on the month, putting in poor-to-awful outings all month before mercifully being sent to the D/L. Only Jordan Zimmermann and (quietly) Gio Gonzalez maintained some form of consistency for the team, each putting in 4-5 excellent outings in June. A look at the opposing team’s rotation ranked 1-5 in the order they’re appearing from opening day. There’s no shame in going 0-3 against other team’s “Aces,” even if they’re not exactly league-wide Aces. But you HAVE to do better than 0-2 against the #5 starters on other teams. The Nats show pretty good success against the 2nd-best starters on other teams, but once again seem to have let-up against pitchers who are scuffling this year. Note that Dillon Gee is listed as being the 4th best Mets pitcher at one point and then the 5th best at another; that’s because I do the starter analysis of each team at the time of the series and Gee’s standing changed over the course of the month. This table, as my frequent readers know, is the Meat of this analysis. Here we see that the team somehow got a win when Cy Young candidate Matt Harvey was on the mound but other wise lost when league wide Aces and #2s were the opponent. What is more concerning here is just how many times our Nats lost to league wide #5 starters. These are near replacement-leve pitchers who a supposed playoff contender should be feasting on. Maybe Gee isn’t a #5 starter, since he beat us twice. But a career 90 ERA+ says otherwise. You have to win the games you’re supposed to win. Perhaps the most damning evidence of the evolution of our .500 team is this fact: in April of this month I only thought our opponents had the clear starting pitching matchup advantage two times out of 27 games. In June? I gave our opponents this advantage 8 times out of 26 games. The Nats managed to pull out a couple of these clear pitching dis-advantages when New York’s bullpen blew Harvey’s gem against us, and when Ohlendorf outpitched Jorge De La Rosa in his one spot start. By June, our rotation is so jumbled that rotational order is almost meaningless. Strasburg is clearly our “Ace” but is pitching out of the #3 rotational order by virtue of his D/L stint. And you can see that other teams face the same issue. The 0-4 record for Haren’s starts is pretty damning; this has to change when he comes back or we need to look elsewhere and eat his $13M in salary. As Luke Erickson noted over on NationalsProspects.com, one of the Nats worst-kept secrets was finally let out of the bag when word broke that Nats 2013 minor-league sensation Taylor Jordan was in New York and was going to make his Major League debut on Saturday June 29th. Starting in place of “injured” and ineffective starter Dan Haren, Jordan went up against one of the worst offensive teams in Baseball (the Mets are dead last in team batting average, hitting just .229 as a team as of 6/29’s game). Lets review how Jordan did. At the end of the day, (a 5-1 Loss for the Nats and a “Loss” for Jordan in his debut), Jordan’s line probably betrays how well he pitched on the day. Jordan was pulled after 4 1/3 innings and was relatively unlucky to have given up the 3 runs (1 earned) that he did. After a nervous first inning that included a walk and a HBP, Jordan induced one of many ground ball outs on the night to get out of the jam. He cruised through the 2nd and 3rd innings relatively unscathed before some bad luck and a couple of bad pitches cost him a run in the third. He got what looked to be a double-play ball to erase one runner who reached by error but the turn was slow (in fairness, a ball deep to the hole in 2nd and a fast runner conspired against the turn). He then hung a slider against John Buck who hit it sharply to left to drive in the first of his charged runs in the 4th. Ryan Zimmerman‘s questionable positioning against the Mets’ cleanup hitter Marlon Byrd led to two fielding errors on sharply hit balls that, despite their pace, should have been outs (why is he playing even with the bag there?? Does he really think Byrd is bunting batting out of the clean-up spot?) Then a little-league sequence in the 5th led to the 2nd run being scored when Ian Desmond‘s attempt to get Daniel Murphy advancing to third led to a second run. Jordan’s last charged run was on a sac fly/inherited runner allowed to score by his relief pitcher Craig Stammen. 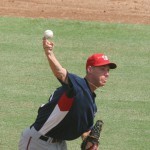 Jordan featured a fastball that was regularly 91-92 but which peaked at 95.81. He seemed to tire as the game went on; his peak fastballs were all in the first two innings (perhaps he was “amped up”). His mechanics reminded you of Jered Weaver, with a sweeping cross-body motion that results in plenty of movement on his pitches. He featured a very plus change-up, which he commanded well and was able to get key strikes on (he had no issues throwing it to lead-off a hitter, or at 2-0). His slider didn’t move much, but it also featured as a plus pitch when he kept it down. He was able to locate his fastball well, as best evidenced in David Wright‘s third at-bat against him, where Jordan fooled him badly with a slider, jammed him inside repeatedly and eventually forced a weak ground-ball to the shortstop to retire him in the 5th. He gave up some sharply hit balls, but he also was very unlucky as a couple of flairs and bloops fell in just behind the infield. On the day, he gave up 5 hits, two walks, and a HBP against just one strike-out (against his opposing number Dillon Gee, who he retired with another fantastic change-up). He wasn’t very efficient on the mound, only throwing 48 of 84 pitches for strikes. He wasn’t “nibbling” per se, but definitely works the corners and missed his spots. In the 4th and 5th he was constantly falling behind hitters and (as Masn announcer J.P. Santangelo noted) it eventually caught up with him. He got 9 ground outs to just 3 fly outs to go along with a handful of bloop singles, and to me its clear what his approach is. Despite pretty decent K/9 numbers so far in the 2013 minor league season (72 Ks in 90 1/3 innings) he’s definitely a guy who is going to rely on location and a sinking fastball to induce grounders for outs. All in all, in an oft-repeated mantra for 2013 you can’t win if you don’t score. He probably was pulled when he should have been and isn’t really at fault for the loss (not when your offense only scores one run against a middling pitcher like Gee). I think Jordan clearly has earned another start and probably sticks around for a while. One last note: I can’t help but comment on a cynical but possibly true comment I read in one of the other Nats blogs (my apologies, I cannot remember who said it). 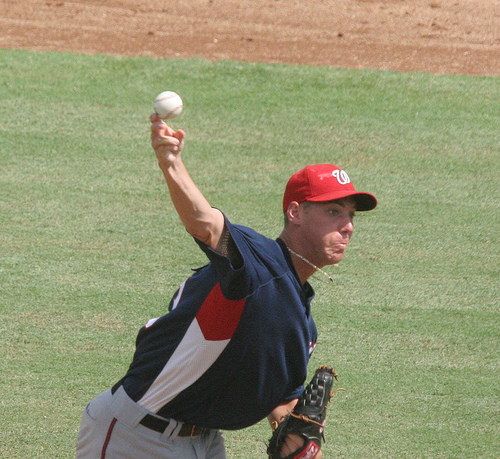 Is Jordan’s call-up a precursor to his being included in a possible trade, much as Mike Rizzo featured both Tommy Milone and Brad Peacock at the end of 2011 prior to shipping them off? I ask this because Jordan doesn’t seem to be the typical Rizzo guy; he’s not going to overpower you, he doesn’t throw mid 90s. Then again, neither does Haren and that didn’t stop Rizzo from signing him for $13M. Either way, I look forward to his next outing. I’m always excited to watch new guys on the mound. We’ve all been watching the games, so nothing surprising here. 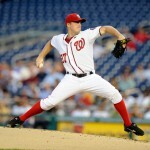 Jordan Zimmermann has quietly been one of the best starters in the NL so far. He’s working on a .861 WHIP and has 5 straight Quality Starts. This is reflected in his grade scores above. Meanwhile. Dan Haren‘s early struggles are slowly turning into workable outings. Ross Detwiler‘s Sunday loss was “death by paper cuts” and his 11 hits allowed wasn’t as bad as it looked in the box score. I’d like to see some more consistency out of Gio Gonzalez; is he an 8ip-1hit guy or is he 7 runs in 5 innings guy? There really hasn’t been an in-between for him. Lastly Stephen Strasburg hasn’t pitched that badly (one bad outing out of 6) but has gotten almost no run support, contributing to his ugly W/L record. Here’s some analysis based on our opposing pitcher each night. It provides some interesting insight into the team’s performance so far. In other words, the Nats are 2-4 versus opposing team’s “Aces,” 2-3 against their #2’s, etc. Not all #1 starters are made the same, nor are #5 starters. The team has the expected losing record against other team’s #1s, but also has a relatively weak record against other team’s #4 and #5 starters. Some of this is thanks to Haren‘s weak matchup as our #4 starter, and some of this is because guys like Homer Bailey, Shelby Miller and Tony Cingrani aren’t exactly bottom tier starters in this league (we’ll see this later on with the “League Wide Rank” table). Detwiler’s #5 rotation spot is now matched up essentially with the #1 spot of a lot of his opponents (the one #5+ spot was Cingrani, who took Cincinnati’s #1 spot from Johnny Cueto when he hit the D/L), and has been since mid April. Thankfully our #5 has been pitching like a #2 all year. In other words, the Nats are 2-3 against opposing teams’ best pitcher at the time of the series, 2-1 against the opposing team’s 2nd best performing pitcher at the time of the series, etc. As with the above, not all #1s are the same. Ricky Nolasco is perhaps the 4th starter on a good rotation but he’s the best Miami has. Believe it or not Adam Wainwright was only the 3rd best starter on St. Louis’ team at the time of our series (behind both Jake Westbrook and Shelby Miller), despite my believing him to be an “Ace” in this league (see the next table). In other words, the Nats are 0-3 against MLB “Aces,” 1-5 against MLB “near aces” or #2’s, etc. This table really shows how the team has truly done against the elite pitchers in this league. We can argue in the comments section about my subjective ranking of pitchers (is Matt Harvey truly an “Ace” in this league? Probably not yet, but he sure is pitching like one. Is Julio Teheran really a #5 pitcher in this league? Not on talent, but certainly on performance thus far), but I’m happy with my rankings for pitchers overall. For comparison purposes with our own team talent-wise, I have Strasburg as a league-wide #1, Gonzalez and Zimmermann as #2s, Detwiler as a #3 (but rising) and Haren as a #4 (but falling; he was a #2 just a couple years ago). The Nats have managed just one victory over Aces or near-Aces in this league so far (and that was by virtue of Zimmermann‘s one-hitter victory over Homer Bailey: you don’t win 1-0 games in the Majors very often). They’re 12-6 against everyone else. 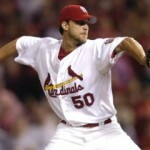 The team’s bigger concern should be games dropped to the #5 pitchers. For every loss to an Ace, you have to make up for it by beating up on the lesser starters in this league. You just cannot lose to guys like Alex Sanabia or Dillon Gee. In games where I thought Washington had the clear starting pitching advantage head-to-head, we still managed to lose 6 times. Those losses are listed above: three times we dropped games where Strasburg was pitching against lesser opponents. You can quibble whether Strasburg-Tim Hudson is an even matchup or not, but certainly Strasburg vs Teheran or Jaime Garcia is a mis-match on paper. In games where I thought the pitching matchup was even, the team still went just 3-6. Again, Strasburg ended up with some tough matchups against other fellow “Aces,” while Detwiler ran into a couple of hot-hands. The two games where I thought our opponent had the clear advantage heading into the game both involved Haren going up against near-aces from Cincinnati and St. Louis; we lost both games easily as expected. April Conclusion: The Nats have faced some good teams with some good pitching thus far; they need to do a better job cleaning up against opposing teams’ #5 starters. This analysis doesn’t even start to look at the offense; with better run support Strasburg may be 4-1 instead of 1-4. And it doesn’t look at the bullpen or our defense of course; two areas that have turned Wins into Losses pretty quickly for the team. A quick thought, stemming from the comments of the previous post. I’m looking at the starters that the Nats have gone up against to contribute to their current .500 record and they’ve gotten beat by some pretty tough guys. Johnny Cueto, Adam Wainwright, and Matt Harvey (despite his small sample size) are all “Aces” in this league, among the best in the game. Meanwhile guys like Tim Hudson, Homer Bailey, Shelby Miller and Paul Maholm (not normally, but so far in 2013) are all “near aces” or what I like to call #2 starters in the game. The Nats have gone up against all of these guys and come away with 7 of their 10 losses (as of 4/24/13). 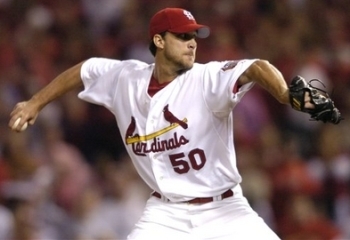 There’s no shame in losing to a dominant starter like Harvey or Wainwright. (Now, as for why the Nats other three losses are against such pedigree’d pitchers as Dillon Gee, Julio Teheran and Alex Sanabia, well, that’s probably another blog entry…). Anyway, the opposing pitchers have highlighted this blog post’s point: The Nats have had a very tough April schedule. I didn’t really notice it until last week when I saw who the next three opponents were: St. Louis, Cincinnati and Atlanta. Nothing like 11 straight games against 2012 playoff teams while you’re struggling to make your fanbase nuts. Look at how front-loaded this schedule is, and then look at what this team is up against in June and July. 15 of 27 games in April against 2012 playoff teams; Cincinnati twice, the Braves twice and a 3-game set vs St. Louis. That’s a lot of games against very good teams. It’s no wonder we’re exactly a .500 team right now. But then look at June and July; just four total games against 2012 playoff teams (two against Atlanta a the beginning of June and then two in Detroit at the end of July). The Nats are going to have nearly 8 straight weeks of games in the middle of the season against teams that not only missed the playoffs last year, but in many cases were downright awful and are on pace to be just as awful this year. Teams like Minnesota, Colorado, San Diego, Miami, and Pittsburgh. Plus a bunch of games against teams from our own division that we know are going to be struggling to be .500 clubs all year (namely, New York and Philadelphia). They also will go an entire month (from August 19th to September 16th) without playing a 2012 playoff team. Now, the above table analysis doesn’t take into account that there are still dangerous teams out there on the schedule. Kansas City is improved for 2013. The Phillies are not going to be an easy out. We’ve got an extra game thrown in against Milwaukee (a team with a winning record last year). Los Angeles and Arizona aren’t going to be easy teams to beat either. But we shouldn’t forget that this Washington team won 98 games themselves last year and should be the bully on the playground this year. In a previous post I showed a scenario where the Nats can break-even on season series against the “good” teams in the league but be dominant against the lesser teams in the league and end up with a significant amount of victories (north of 100 wins) on the season. Now, so far we’re not exactly breaking even against Atlanta, St. Louis or Cincinnati, but we have been somewhat holding serve against lesser teams like Miami and the White Sox. We just need to get through this early stretch. I’m not saying, by the way, that this team doesn’t have concerns. The team isn’t hitting well, especially our #4 and #5 hitters (only the most important ones). Dan Haren has been absolutely awful as compared to expectations so far. 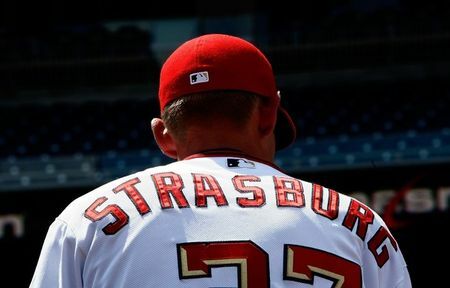 Strasburg has looked hittable. Gonzalez has been pitching scared. The bullpen has been erratic. The defense has been ghastly (they lead the league in Errors right now). And I havn’t exactly been the biggest fan of Davey Johnson‘s managing thus far. But right now these are small sample sized concerns that can (and should) iron themselves out. The message is this, all is not lost. Its early. The Nats are going to struggle for the next week to keep up with Cincinnati and especially in Atlanta. We will likely have a losing record on May 1st (I personally see us splitting the home Cincy series and losing 2 of 3 in Atlanta). But we need to be patient and wait to see how this team performs as it enters its “easy stretch” in a couple months. A win in June is just the same as a win in April, and a .500 month can be easily offset by a .700 month or two later in the year. Though not nearly as heralded as Strasburg or Zimmermann‘s debuts this season, Cuban FA signing Yunesky Maya had his MLB debut last night against the Mets at the stadium. 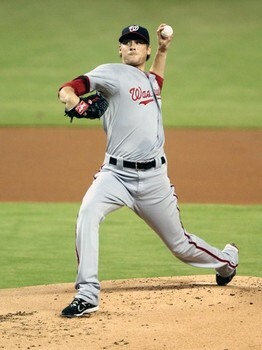 He took the loss 4-1 (gamer/box), with the Nats struggling against fellow MLB Debutante Dillon Gee. 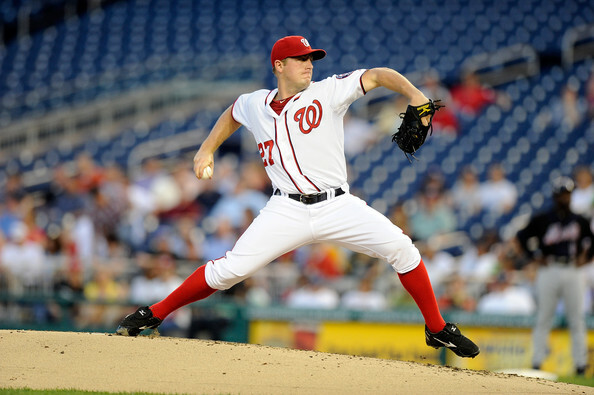 Maya’s insertion into the September rotation spells the probable end of Scott Olsen‘s Washington career and represents the possible 5th of 5 starters the Nats are looking at for their 2011 rotation. Unfortunately, nerves and overthrowing seem to have gotten the better of Maya, as the Mets tagged him early and hard in the first. Maya was visibly nervous, breathing heavy and breathing hard before his first pitch. It is probably hard to overestimate what we were witnessing here; a player who risked his livelihood and his family’s well being back in Cuba to defect to chase his dream. Perhaps the culmination of the situation over came him. Whatever the cause, the first four Mets hitters all got solid wood on the ball, with Ike Davis absolutely tattooing a ball to dead center for a quick three runs. From my viewpoint, Maya was struggling early with his “height” on his fastballs (certainly the gopher ball to Davis was belt high and went a long way). He also couldn’t get “on top” of his curve, which looked closer to an euphus pitch than a sharp breaker. Masn showed his velocity as maxing out at 94, but Pitch f/x showed a max of 91.5 (further proof that stadium guns are “juiced”). After giving up a run-scoring single to the opposing pitcher in the top of the 2nd however, Maya looked like a different guy. 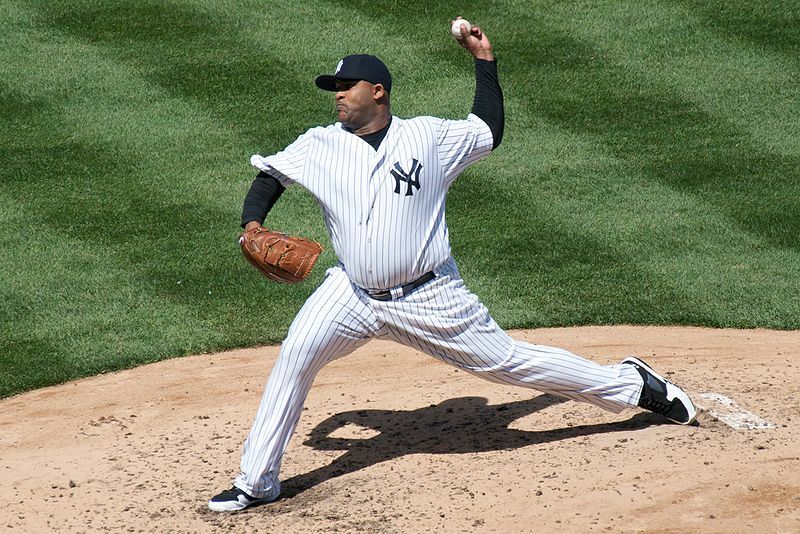 He has an abbreviated motion that has a similiar (but less exaggerated) leg kick to Cuban compatriot Orlando “El Duque” Hernandez, and seems to have the same arsenal of pitches. Per the MASN broadcasters he has 5 pitches (fast, curve, change, sinker, and a slider), but he demonstrated several others. 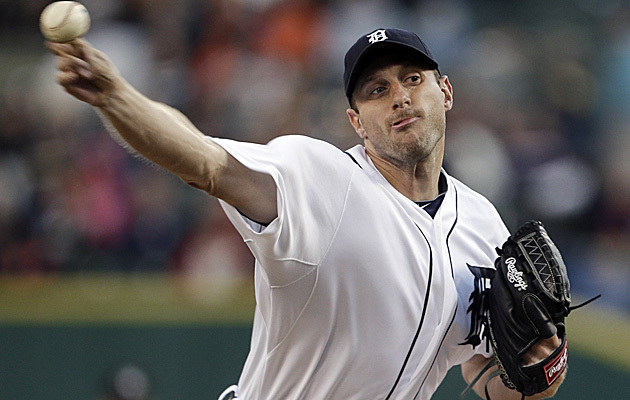 He changed speeds on all his pitches, moving his 4-seam fastball in and out. He had good movement on the fastball (after the 1st anyway) and worked inside on hitters fearlessly. In the 3rd-5th innings he was on top of his curve and it demonstrated pretty significant 12-6 movement. On a couple of occasions the hitter patently gave up on a curve that started at or above their head, only to watch it break into the strike zone. 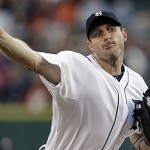 He showed a sharp slider that he struggled to control most of the night. He had a conventional changeup but also showed what had to be a split-fingered changeup that would dive down with great movement. 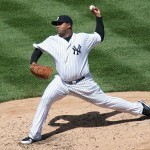 Finally he showed some variety by throwing both his slider and fastball from a near sidearm arm angle. So, if you’re counting pitch varieties I saw: 4-seam fastball, sidearm fastball, 2-seam fastball, conventional changeup, split-fingered changeup, 12-6 curve, conventional slider and a sidearm slider. Maya started out the game by working fastballs to hitters, but by the end was throwing an array of offspeed stuff to then setup a sneaky fast 4-seamer. It makes you wonder if he was being told by the dugout to work that way. Clearly he was more effective throwing more junk (ala Livan Hernandez) and you have to wonder if he changed tactics on the fly. In this regard, I was very surprised to see the rookie Wilson Ramos behind the plate; why wouldn’t you start the future hall of famer with a new guy making his debut? You’d get a better game called and have quicker adjustments on the pitch calling once it became apparent what the guys’ strengths were that night. Curious. In any case, after the first four guys hit the ball hard, he didn’t give up a well hit ball the rest of the night. Lots of popups, lots of groundballs. He’s not a strikeout pitcher; just a guy who throws a bunch of pitches well and keeps you off balance at the plate. Verdict; I like what this guy brings to the table. The scouting reports say that he “knows how to pitch” and that became pretty apparent as he mowed through the mets lineup the 2nd and 3rd time through. He retired 11 of the last 12 batters he faced (only blemish being a walk to the guy who mashed a ball out, obviously pitching him carefully). He looked fearless, threw his pitches well and I can’t wait to see his next start. Coincidentally, Maya represents the 14th pitcher to start a game for us this year. That “leads” the majors in a rather dubious categoryand goes a long way towards explaining how the Nats season has gone. In other pitcher news, Detwiler pitched 2 innings with little fanfare; he threw easily and loosely, gave up some hits but worked through 2 innings decently enough. He’s got his hands full though next spring when it comes time to displace one of the 5 current starters. Lastly Balester pitched 2 strong with 3 Ks; he makes perfect sense as a long man out of the bullpen and I think his days of starting are over.